Bootstrap Business: Does The Colour You Wear To An Interview Influence A Company’s Decision? Does The Colour You Wear To An Interview Influence A Company’s Decision? Your job interview is just around the corner, and you still haven’t decided on what you’re going to wear. But you know you need to make a good impression. You want to strike the balance between looking good and showing off your personality without compromising the performance of your 30-minute interrogation with one of the high-brow bosses. However, the colour you wear can play a significant part in the interviewer’s outcome. Simply put, colour psychology is the study of hues as a determinant of human behaviour. 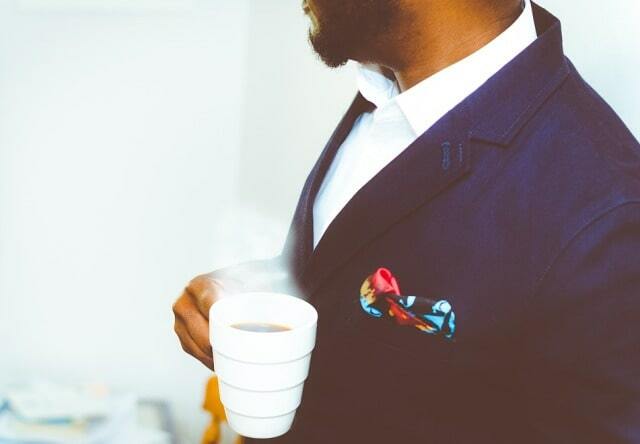 Although qualifications, experience and work ethic play a huge part in the interview process, dressing in a particular way can build up a great first impression and help you secure the job. There’s too many colours! What should and shouldn’t we be wearing for job interviews? We take a look at some of the most popular colours to wear and what they say about your personality. Is Red An Acceptable Colour To Wear To an Interview? Everyone debates whether red is for the job interview room, especially when it represents romance. However, if you’re looking to demonstrate power — perhaps you are applying for a senior position — red can be a good reflection of this character trait. Studies have shown that this colour can actually boost a wearers confidence, which might be a good shout if you’re slightly nervous for the big day. The study also went on to show that the tone can display good health and being financially sound, which of course is something every company admires. Although, you shouldn’t always rely on it. It can also suggest that you’re not kind or sociable, but this can be proved incorrect in the room! Is Black An Acceptable Colour To Wear To An Interview? You can definitely wear black to your next interview, but you should pair it with another colour. Think of other colours that can be paired with this hue, as it is extremely versatile and using another colour on our list could boost your presence. This tone is used to portray intelligence, and you definitely want to look intelligent! However, bare in mind that there are some negatives to the colour black; this includes mourning. Be smart with how you choose to wear this colour! Is White An Acceptable Colour To Wear To An Interview? White shirts for men are essential to any job interview, especially when you’re pairing with some fine men’s derby shoes. Research has suggested that the colour white was perceived to be the least arrogant colour which is always beneficial for an interview — you want your interviewer to like you. It’s also thought to make someone appear very optimistic, so if you don’t have a one already, now is your chance! Pair with a dark blue men’s blazer and matching pants to become the candidate that they’ll remember most. Is Blue An Acceptable Colour To Wear To An Interview? Everyone admires the colour blue in an interview, and you’ll love wearing it. The hue demonstrates that someone is a team player, trustworthy and has a lot of confidence. If this sounds like something you’d like to showcase, this hue might just be for you! This statement has been backed up by some key players in business. Lisa Johnson Mandell at AOL Jobs commented: "Studies show that navy blue is the best colour for a suit to wear to a job interview, because it inspires confidence. You are more likely to get the job when you wear navy blue to an interview than any other colour." Is Grey An Acceptable Colour To Wear To An Interview? Grey is a tedious colour to contend with when it comes to an interview. What do people perceive the colour as? We all know that sometimes darker tones don’t propel the best message, but reports suggest that this colour communicates independence; this is something that many employers are looking for. Despite this, this color is also known to portray remoteness — can employer’s really rely on you to work with others? You want to make sure that you come across as a team player and someone who is actually going to contribute something beneficial to their company. Although the above are the most common type of colours sported to interviewers, there are some tones that you should avoid. Colours that were found to attract negative connotations were orange, brown and surprisingly pink. Steer clear of these colors when choosing your suit or dress clothing! I hope you enjoyed this blog post about whether the colors you wear on your clothes during a job interview influence a company's decision. Interested in more articles about job interviews and resumes?